Michael Dukakis, former Massachusetts governor, and cofounder and chairman of the Boston Global Forum (BGF) announced the awards for leadership in Artificial Intelligence saying, "Few elements in technology offer both the promise and peril of Artificial Intelligence," adding, "Thus, the World Leader in AI World Society Award series was created to recognize those who foster the development of AI within an ethical framework that aligns with human values." BGF is calling for suggested nominees. 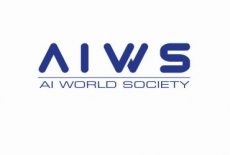 Boston, MA, February 12, 2018 --(PR.com)-- The Boston Global Forum has announced that, as part of its year-long focus on issues surrounding the promise and perils of Artificial Intelligence, it has created a World Leader in AI World Society Award series to be presented in April of 2018 to leaders who have fostered the development of AI within an ethical framework that aligns with human values. In making the announcement, the Boston Global Forum called for the public to submit suggestions for nominees by contacting office@bostonglobalforum.org.